20 years ago, a grinch economist named Joel Waldfogel wrote an academic paper titled “Deadweight loss of Christmas” where he posits that “Christmas gift-giving destroys between 10 percent and a third of the value of gifts”; that is to say, there is a gap between how much person spends on a Christmas gift versus how much the recipient values the gift. Thankfully, the Atlantic has a more recent 2014 study which shows that we’re only terrible gift-givers because we attempt to be too considerate when choosing Christmas gifts or guessing a person’s Christmas wishlist. 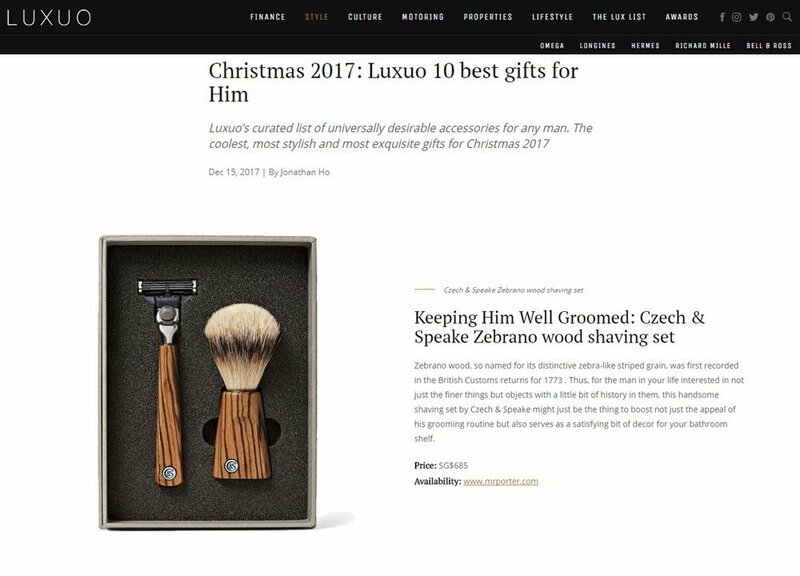 LUXUO is going to take that information a step further, and present a curated list of universally desirable accessories and accoutrements that any man would want. The only consideration here is how cool, how stylish and how exquisite. In other words, we’re going to take the guess work out of gift giving and just focus on pure, unadulterated awesomeness.